These fundamentals are leading to broad based global demand for gold – from retail investors to institutions and pension funds. Japanese pension funds are increasingly looking at gold according to an article in the Wall Street Journal this morning. Diversification into gold is taking place in order to protect against sovereign risk, debasement of currency risk and inflation risk. In March 2012, Okayama Metal & Machinery became the first Japanese pension fund to make public purchases of gold, in a sign of dwindling faith in paper currencies. Okayama manages pension funds for about 260 small and mid-sized companies in the Okayama area. Of its 40 billion yen ($477 million) in assets, the fund has invested around ¥500 million-¥600 million in gold, he said. Initially, the fund aims to keep about 1.5% of its total assets of Y40bn ($500m) in bullion-backed exchange traded funds, according to chief investment officer Yoshisuke Kiguchi, who said he was diversifying into gold to “escape sovereign risk”. Other pension funds in Japan are following their lead according to the Wall Street Journal. Japanese pension funds are diversifying into gold “largely to mitigate the damage from possible market shocks”. Japanese pension funds invest mainly in domestic stocks and bonds. Until recently, none have looked to gold or other physical assets. Gold, whose price movement isn’t historically correlated with those of stocks or bonds, can protect portfolios from being damaged too badly in times of market stress, investment managers say. 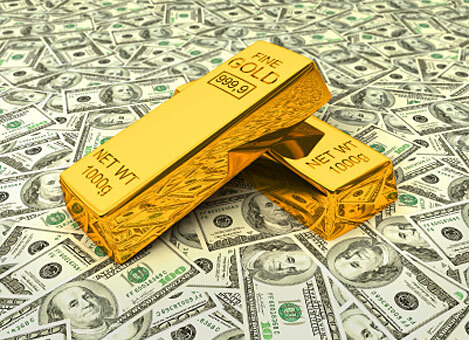 Low interest rates also justify holding non-yielding gold in place of cash. Mitsubishi UFJ Trust and Banking Corporation said it has secured more than Y2 billion in investments from two pension funds for a gold fund it started in March. Gold is also used as a hedge against inflation, which is becoming a bigger concern as global central banks buy ever-more bonds, market watchers say. Even a small allocation by pension funds internationally to gold would result in a significant new source of demand which could be a new fundamental factor which propels prices higher in the coming years. The US dollar is starting to fall against world currencies as investors anticipate more stimulus by the Federal Reserve. The dollar weakened against most of its major counterparts today amid bets the U.S. central bank will add to monetary stimulus. The U.S. currency fell versus the euro and the yen before the Federal Reserve starts a policy meeting tomorrow amid forecasts it will expand bond-buying plans. “People are looking ahead to the Federal Reserve this week, which should be an event that is positive for risk and negative for the dollar,” Nick Bennenbroek, head of currency strategy at Wells Fargo & Co. in New York, told Bloomberg News this afternoon. The U.S. currency declined versus 10 of its 16 most-traded counterparts. The U.S. Federal Open Market Committee meets for the last time this year on Dec. 11-12. It will consider whether to expand purchases of assets after its so-called Operation Twist program of swapping $45 billion a month in short-term Treasuries for long-term debt expires this month. “There’s a good chance that the Fed will announce a new round of money printing and bond buying,” which would be negative for the dollar, said Imre Speizer, a strategist in New Zealand atWestpac Banking Corp. (WBC). Not surprisingly, the weakness in the dollar pushed gold higher. Spot gold was last quoted up $8.00 per ounce to $1,713.00. 1. Gold is priced in dollars, so a weaker dollar naturally pushes up the price of gold in dollars. 2. Gold is considered a main rival to the dollar as the world’s reserve currency, therefore, when confidence in the dollar wanes, demand for gold tends to rise. Mitsui Precious Metals is one of the world’s largest and leading precious metals trading conglomerates. Their Strategic Analyst, David Jollie, sees the price of gold averaging $1,920 during 2013, which is more than 13% higher than its current level. Note that Jollie says gold will average $1,920 during the year. This suggests the real possibility of sharply higher gold prices at the peak during the course of the year. Last week we reported that the sharp sell-off in gold produced a great buying opportunity for investors. Evidently, lots of folks agreed, because yesterday spot gold was up $8 per ounce and today spot gold rose more than $29 per ounce as bargain hunters flocked to the market to accumulate gold. Investors were no doubt motivated not just by the buying opportunity prompted by last week’s correction, but by what the future holds. 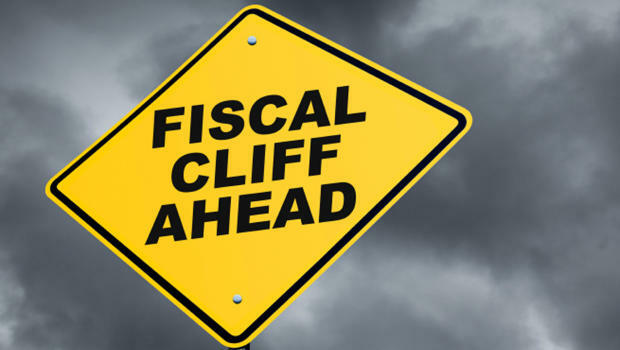 No matter who wins the election today, at the end of the year, the US is still faced with the so-called “fiscal cliff,” which will prompt $400 billion in spending cuts and tax increases. And even those measures will do next to nothing to ease our national debt burden. There are 17 trillion reasons to own gold. 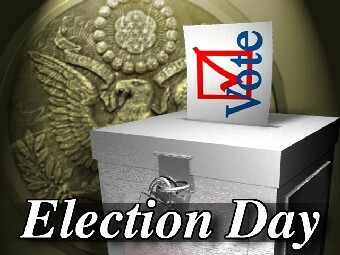 The price of gold rebounded today headed into election day tomorrow. Spot gold rose $8.00 per ounce to $1685 as bargain hunters took advantage of Friday’s sharp correction to pick up gold at low prices. Speaking of the election, now is as good of a time as any to remind investors that no matter who wins tomorrow, the US still has a $17 trillion debt and an economy that has been stuck in the doldrums for 5 years. Moreover, we have still come off of years of negative real interest rates, a scenario that eventually should energize the bull market in gold once again. Who ever the president is the next 4 years, we can all wish him the best, but we must all take action to safeguard our wealth and, given the circumstances, gold is best positioned to to that. The price of gold fell to a two-month low today on a stronger than expected US employment report. The consensus forecast was for the US economy to add about 125,000 non-farm jobs in October. The actual figure was 170,000. This boosted confidence in the US dollar, which took its natural toll on the price of gold, which fell below $1,700 per ounce. The reason that this is such a good buying opportunity for investors is that usually gold reacts positively to signs of strength in the US economy. But because so many people are concerned about the US dollar, any good economic news creates speculation that more monetary stimulus may be unnecessary. Many economists share a different view. They believe that the existing monetary stimulus is not in fact “working” and thus not responsible for the stronger than expected employment report. Moreover, the conditions that truly have created a long-term crisis in the dollar are America’s monetary and fiscal policies combined. With annual federal budget deficits of $1 trillion on top of the already gargantuan federal debt of nearly $17 trillion, the world is already awash in dollars it does not want. Couple this with years of low interest rates and a weak dollar is inevitable. One positive employment report doesn’t change that, it merely creates a correction that represents a great buying opportunity for gold investors. One of Wall Street’s true all-stars, who correctly forecast the subprime mortgage debacle back in 2007-2008 is now forecasting sharply higher gold prices over the next two years. 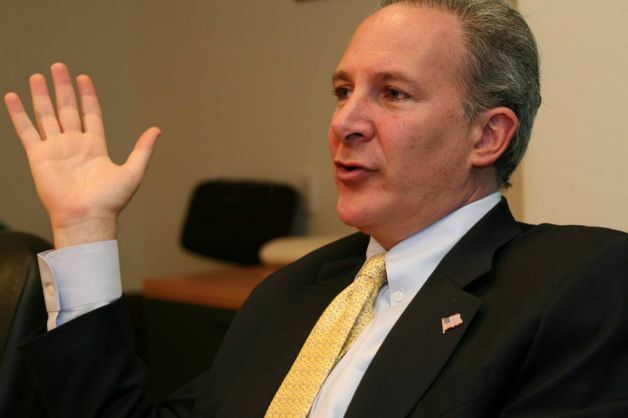 Peter Schiff, head of Euro Pacific Capital, thinks that the combination of runaway government spending and loose monetary policies will cause the price of an ounce of gold to climb to $5,000 per ounce over the next two years. You are currently browsing the archives for the Gold Price category.